Rock and Roll Hall of Fame! Shout, Sister, Shout!, a new musical based on the book, had its world premiere at Pasadena Playhouse in July, 2017. The musical was conceived and directed by Randy Johnson, with a book by Cheryl L. West. 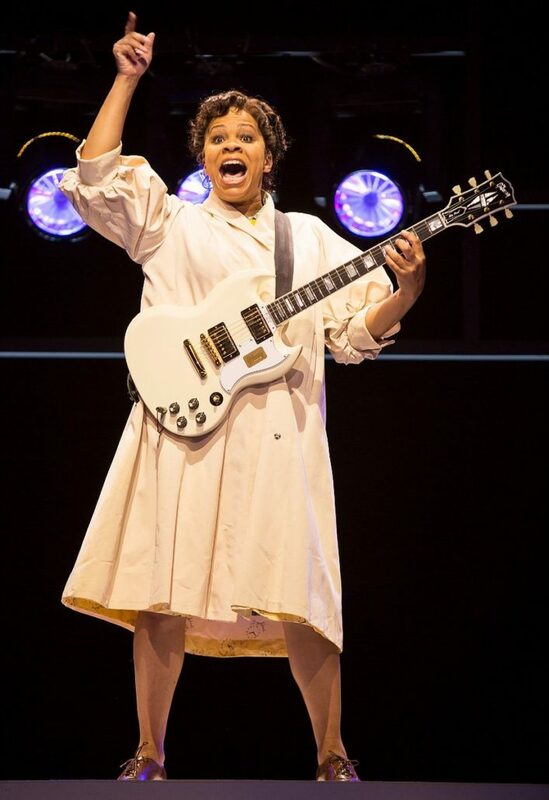 The LA Times praised the production for putting Rosetta Tharpe at center stage! 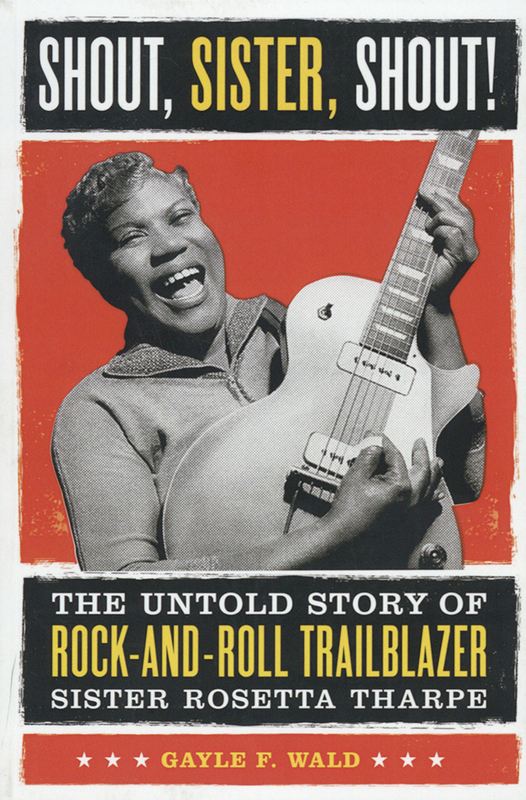 Tracy Nicole Chapman as Rosetta Tharpe in the 2017 Pasadena Playhouse production of Shout, Sister, Shout! Read Gayle Wald’s essay on Tharpe’s induction into the Rock and Roll Hall of Fame.